In the shadow of prophecy, a family is torn asunder, leading to betrayal, torture, madness and revenge. Chained to a rock, listening for the trumpet that will announce the end of the world, Loki tells his side of the story. "For nearly a thousand years, the tale of Ragnarok - the Norse myth of Apocalypse - has painted Loki as a Satan-like evil. With a fast-paced blend of prose and poetry, award-winning author Mark Binder offers an epic revision of the Eddas with modern resonance." in all that has been. Tomorrow all ends in blood. On the brink of Apocalypse, why would anyone kindle utter destruction? Pop culture relies on heroes to save the day. Their choreographed fights are entertaining. We will be safe. 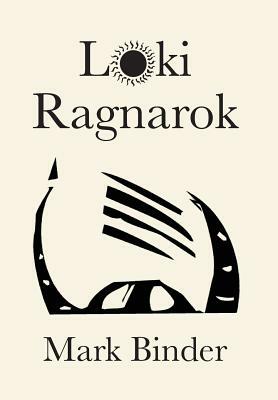 Loki Ragnarok gives a horrific villain a voice with measures of rage, humor and compassion. "Mark Binder has a knack for blending ancient mythology with modern storytelling techniques to create a vibrant and contemporary tale."